And just like that, a new holiday tradition had begun. It was quite a novel idea for The Walt Disney Company. 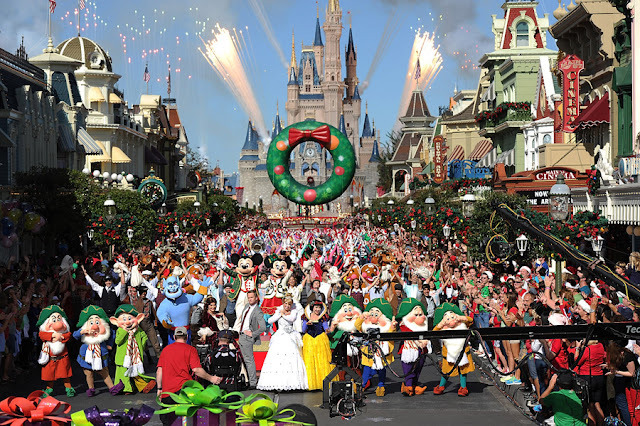 With Mickey Mouse, Minnie Mouse, and all their friends joining Santa in a grand procession down Main Street, USA. 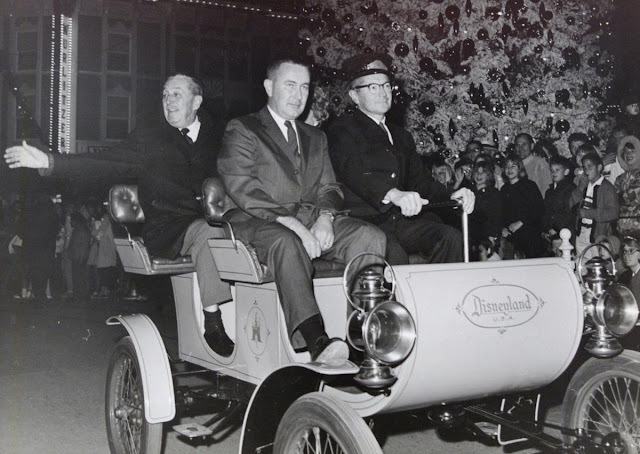 complete with toy soldiers, dancing snowmen, and whimsical floats, the Christmas Parade had long been a must-see event for guets visiting either Disneyland or Walt Disney World during the holiday season. So why not make it an annual tradition for all families, everywhere? After all, Disney is a company built on creating memories that last a lifetime. That very first Christmas morning broadcast was a hit, establishing itself as a new family tradition for millions of Disney fans. 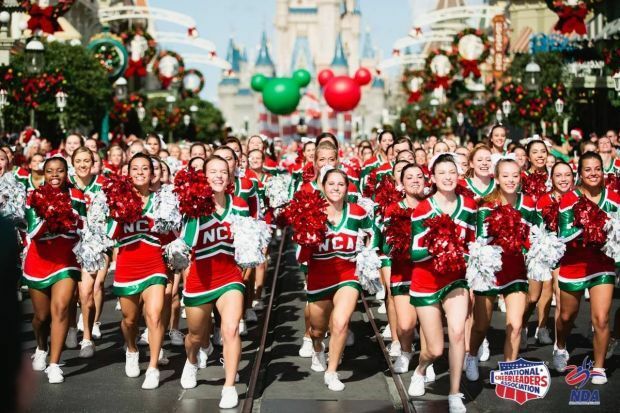 Through the years, the broadcast has changed and evolved to spotlight not only the parade itself, but also up-and-coming artists, television and music performers, Broadway productions, and more than 500 cheerleaders accompanying stars of Disney Channel's hit High School Musical movies. Whatever it is you love about Disney, you're bound to find it watching the parade—mixed in with traditions that make Christmas so special. Take, for example, the year that Neil Patrick Harris hosted from Magic Kingdom Park in Florida. 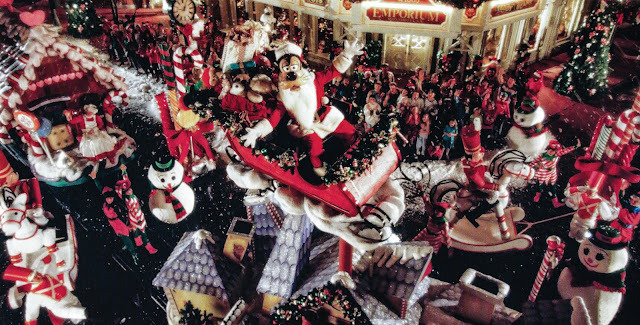 He led a large-scale song-and-dance number up Main Street, USA involving a cast of hundreds, including Belle, Cinderella, Snow White, and all Seven Dwarfs, and joined by dancers from Newsies and even Mickey himself. "Are you ready for Christmas?" he sang. "Are you ready to have some fun? In the shiney December sun, because that's what we're going to do..."
Maintaining a broad appeal—and nostalgia for what we loved as kids—has helped keep the Disney Parks Christmas Parade broadcast a family favorite tradition since 1983. 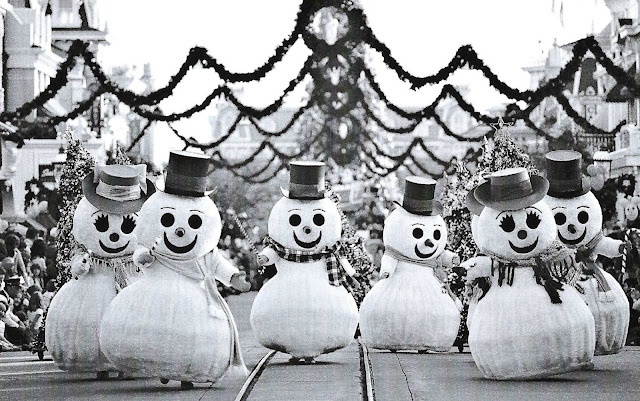 I can recall seeing those classic Toy Soldiers and Snowmen and funny looking Reindeer in the parade when I was a kid myself in the 80s. The Christmas Parade is so nostalgic and it tries to bring out all the things that go hand-in-hand with the Christmas season—like baking cookies, wrapping presents, or mailing a card to Santa. These things are perennial. You can see the joy on those kids in the crowds faces. They're so excited. When the Toy Soldiers come by, or Mickey and Minnie—that's what it's all about. That's what Walt wanted—something he could enjoy with his kids. That's truly magical! 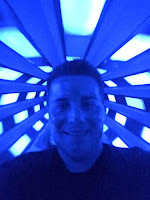 Keith Michael Mahne is the owner and editor of Disney Avenue and the host of the Disney Avenue Podcast. He has made countless trips to the Walt Disney World resort since his first trip in 1989 at the age of four. Keith has a strong passion and respect for Walt Disney, the parks and resorts, and the men and women who help create them. He started Disney Avenue as a way to inform and entertain readers and to repay all those who make dreams come true every day. You can find all of Keith's articles here.